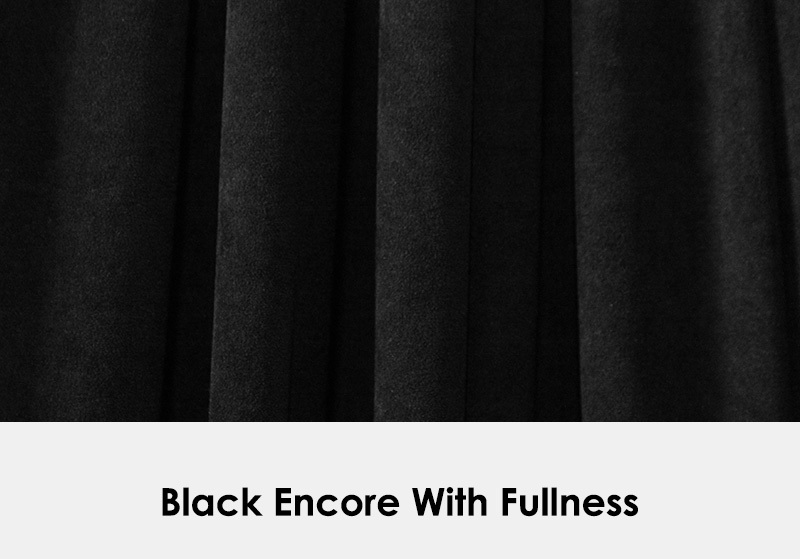 Our Black Encore Drapes are second to none – built from 22oz heavy weight IFR fabric, and unlike some, they are truly “Opaque Blackout Drape,” meaning you cannot see through them. 15 feet wide by 25 feet high. Durable, opaque and wrinkle-resistant brushed polyester velour. Our Large Venue Rental Drapes are sewn flat with blind ties, allowing for fullness to be adjusted during the tie on process and is available in 15-foot wide by 25-foot high panels. Used as perimeter drape, and hung high in large venues, black is also used to hide catering areas, and create walls for coat check and dressing rooms. This durable fabric has low light opacity, is IFR and wrinkle resistant. It is typically hung at 50% fullness which can easily be increased, creating an even more luscious look. Inherently Flame Retardant. Certified to pass NFPA 701-2010, TM #1; Calif. Title 19, test #1237.1, small scale; Canada ULC S-109, small & large flame tests; British BS 5867: Part 2: 1980; German DIN 4102, B1; IMO a.471 (XII) – A.563 (14) for cruise ships; and ASTM E-84 earning a Class I or A rating. Material listed is approved for use by the California State Fire Marshall.